A press conference held last weekend heard presentations from Thai and Australian officials involved in the ongoing war against drugs and the fight against drug lords within the Golden Triangle. The media heard how the drug barons are working with an Australian gang while using an ‘army of ants’ delivery strategy. The drug runners are concealing small amounts of drugs ingeniously in day to day products with legitimate purposes. 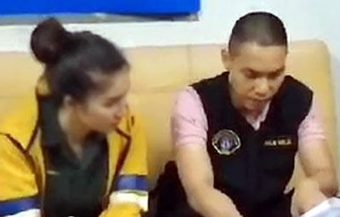 The Australian Thai task force hinted at further arrests after a Canadian and Thai man were apprehended on January 17th when they attempted to retrieve a package of car shock absorbers in which heroin had been concealed. 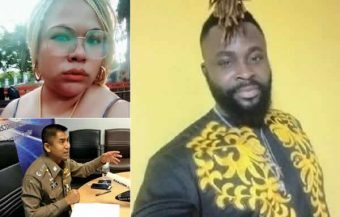 A 38 year old Canadian man and his 27 year old associate were arrested by Thai police last week at the freight terminal at Bangkok’s international Suvarnabhumi Airport. The pair had attempted to retrieve a package of car shock absorbers sent earlier to an address in Australia. Due to an unplanned accident in Australia, officials there including the Australian Thai anti drug smuggling task force had been able to identify the package as suspicious and linked to drugs. This in turn led to last week’s operation which saw the the drug dealing suspects arrested, assets confiscated and 3 properties raided in what must, surely have been a shocking and quite difficult development for the culprits to absorb at the time. 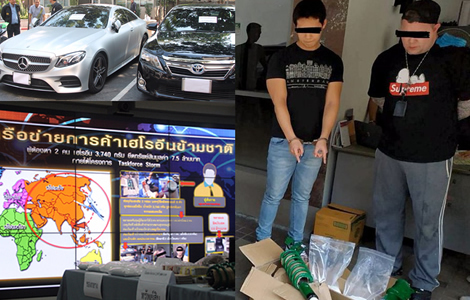 Thai police and drug suppression agencies seized a number of cars, wrist watches and cash after two men were arrested last week as they tried to retrieve a package of car shock absorbers in which heroin was concealed. Thai and Australian police briefed the media last Sunday on the event and hinted at further arrests against an Australian gang working with the huge criminal syndicate linked to a Golden Triangle drug producing region on Thailand’s borders. The gang are targeting both Australia and Canada and using a new delivery strategy by concealing smaller quantities of drugs in everyday trade products. 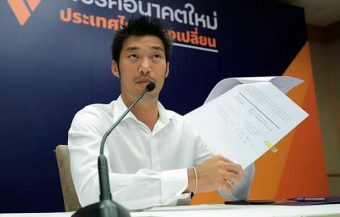 Niyom Termsrisuk, the Secretary General of the Office of Narcotics Control Board (ONCB), located at Din Daeng in Bangkok, said that during the anti drugs operation, Thai police had arrested a Canadian man and his Thai accomplice on suspicion of being in possession of illegal drugs and smuggling heroin into Australia. The duo were caught red handed at Bangkok’s international Suvarnabhumi Airport when they turned up to retrieve a package of 8 shock absorbers that had been identified as suspicious, quite by accident, in Australia. 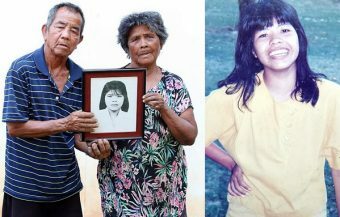 The package was sent back to Thailand where Thai police and drug suppression officials were eagerly awaiting the Canadian and Thai man to appear last week on Thursday the 17th January. A press conference, on Sunday last, heard a very interesting briefing from both Thai and Australian officials, into how Thailand’s police force, in cooperation with other international police agencies, particularly in Australia, are fighting an ongoing battle against the evil of illegal drugs pouring out of the Golden Triangle area on Thailand’s borders to the northeast and northwest. The conference was given a presentation by the Secretary General of Thailand Narcotic Control Board, the Thai police, crime suppression agencies and the Australian Federal Police. 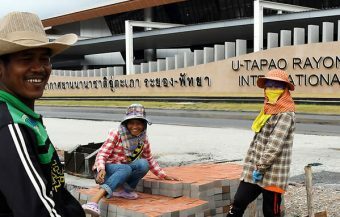 Thai police, working with their Australian counterparts, last week confirmed the arrest of the Thai and Canadian men. They are believed to be linked to an international drug smuggling conspiracy. Authorities named the men arrested as 38 year old Canadian citizen Stephen Blair and his Thai associate, 27 year old Pahol Siwasirikarun. 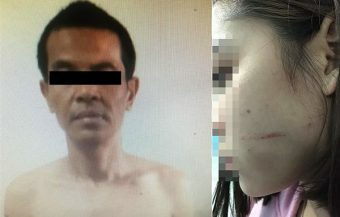 Both were arrested after Thai authorities swooped on the pair as they attempted to retrieve a package at Suvarnabhumi Airport’s cargo terminal on Thursday week last, January 17th. The package they were seeking was a returned shipment from Australia made up of eight car shock absorbers. A spokesman for the Thai Narcotic Control Board, Secretary General, Niyom Termsrisuk, outlined the details behind the drugs bust to the convened press conference. He revealed that earlier, Australian police and officials working in the Thai Australian joint task force code named Operation Storm had detected the package in Australia and identified it as suspicious. 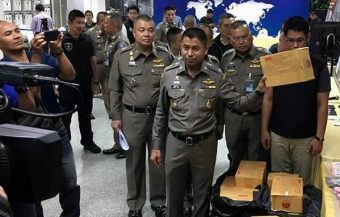 They had sent it back to Thailand where police and experts found that the shock absorbers contained high grade heroin with a weight of 3.740 grams. The illegal drugs had been skillfully concealed within the products like other shipments in the last year, one of which was a consignment of golfing equipment exporting to Australia from Thailand’s eastern corridor. 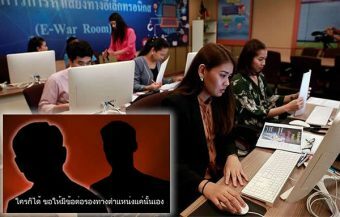 Thai police and officials, in association with their counterparts in Operation Storm, were able to track and link the package back to the Canadian and Thai man who were identified as the 28 year Blair and his Thai partner, 27 year old Mr Siwasirikarun. 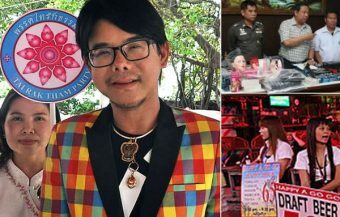 The National Narcotics Control Board liaised with Thailand’s anti money laundering agency, the Department of Social Investigation, the Royal Thai police as well the Federal Police in Australia on the matter. This involved the sharing of intelligence and planning which is what Taskforce STORM was established to do. 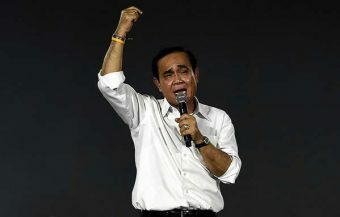 As well as arresting the pair of suspects, Thai authorities moved quickly to seize their assets as provided for by Thailand’s strong and wide arranging legal provisions to counter the drugs menace. 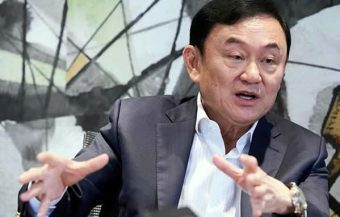 Thai authorities told the Sunday briefing and press conference that the value of assets seized, at that point, amounted to ฿7.5 million. The items seized were a Mercedes Benz 300 Coupe, an executive black Toyota Camry, a Kawasaki Z1000 motorbike and number of luxury watches including an Oyster Rolex and Royal Oak instruments. The anti drugs task force also seized over ฿2.5 million in cash funds. 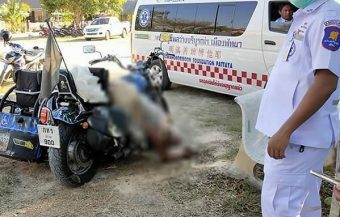 This followed raids by Thai police and investigating authorities on three properties. Two condo units were searched in the Phayathai and Rama 9 areas of Bangkok while a house in the Prawet area was also targeted by police. The Narcotic Control Board Secretary General pointed out that the operation was coordinated with their counterparts in Australia as part of Task Force Storm. 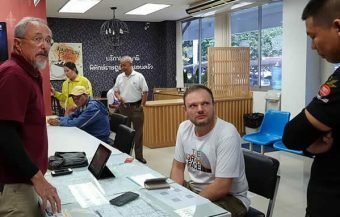 At the briefing, Thai police and authorities revealed that they believed that this drugs operation is linked to a massive criminal conspiracy and gang made up of Australian nationals who are working with a large and extensive crime syndicate beyond Thailand’s borders in the infamous Golden Triangle area. They believe that this was the source of the heroin which the gang wanted to ship into Australia. 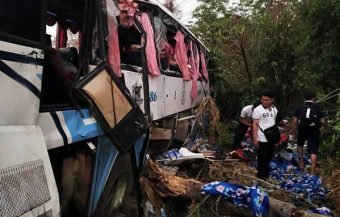 Thai authorities revealed that the investigation is ongoing and that evidence was being put together which may, in the future, lead to further arrests. The Secretary General of the Narcotics Control Board displayed the shock absorbers to the assembled media at the press conference. The ingenuity of the tactics used by the drug to try to fool authorities and evade detection was highlighted. Australian officials also attended the event including a lead coordinator working with Taskforce Storm, Mr Stephen Fry. The Secretary General of the Narcotics Control Board was also accompanied by Police Colonel Adis Charoensawat who is the Deputy Chief of the 3rd Division of Thailand’s Narcotics Suppression Bureau. Mr Fry works as a senior coordinator within the ranks of the Australian Federal Police. 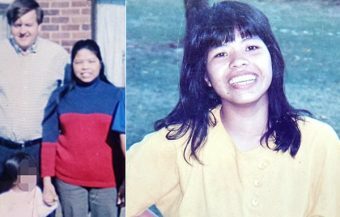 The Australian police official said that the gang were using a range of methods to ship illegal drugs from the Golden Triangle to both Canada and Australia. 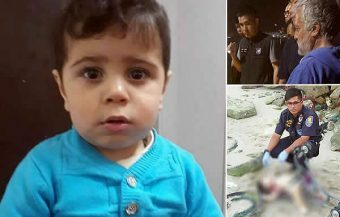 He outlined what police, working on the Australian Thai task force, believe to be an ‘army of ants’ system or delivery tactic which the gang is using. The drugs seized on Thursday the 17th January at Suvarnabhumi airport represent a part of a huge and far bigger criminal enterprise. It was only due to an error or mistake in Australia that the 8 shock absorbers were returned after being identified as suspicious. He revealed that police working on the joint task force are now satisfied that they know the identities of the gang members. 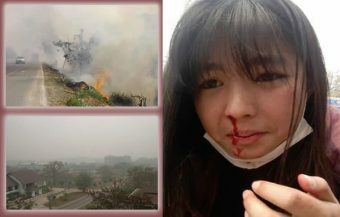 ‘We are in the process of gathering evidence to arrest them,’ he promised. The Secretary General of the Narcotic Control Board Niyom Termsrisuk explained to the assembled audience, including the media, that heroin was formerly prepared in bars and this made it difficult for drug criminals to transport. Now heroin and indeed other substances, are being packed by drugs gangs into small quantities and concealed within goods, often commercial goods with a secondary and legitimate purpose. The new tactic being employed by the international drug gangs made the need for intelligence and cooperation between international police forces manifestly obvious. 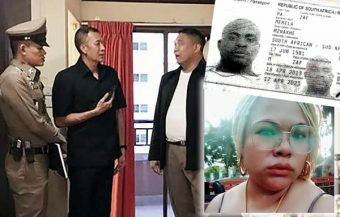 On the fate of Mr Blair and Mr Siwasirikarun, the drugs busting boss confirmed that Thai police had initially charged the pair with possession of illegal drugs with intent to sell.